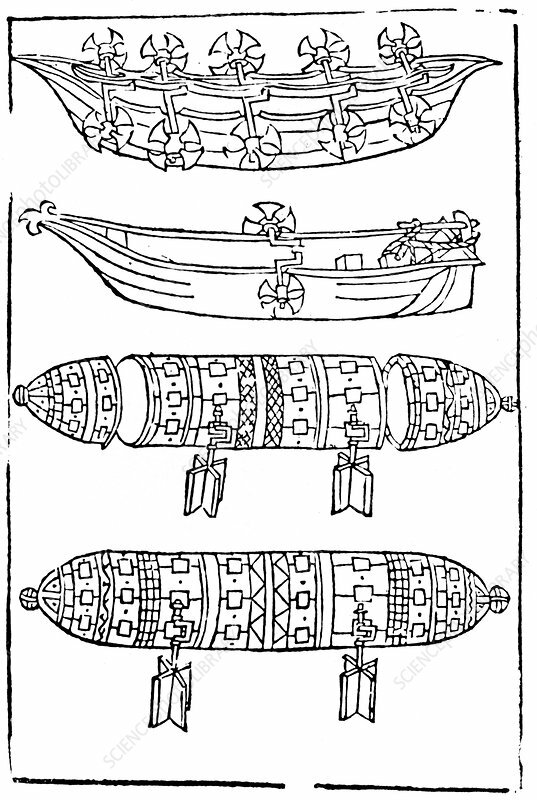 Various forms of paddle boats for use in war, 1483. The bottom 2 are submarines. From Valturio De Re Militari, 1483.